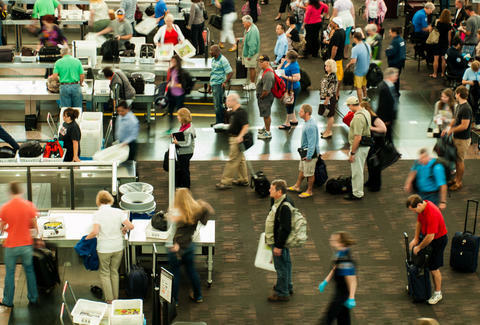 Sneaking anything past TSA is a big no-no. Especially in light of the 3-1-1 rule, which stipulates that any liquids on your person must be stored in a 3.4 oz container and fit inside a one-quart-sized resealable bag. These are things that obviously cross your mind when you’re frantically scrambling to catch your flight. "Frozen liquid items are allowed through the checkpoint as long as they are frozen solid when presented for screening. If frozen liquid items are partially melted, slushy, or have any liquid at the bottom of the container, they must meet 3-1-1 liquids requirements." All this will take, thankfully, is the foresight to stick your precious coffee or smoothie in the freezer the evening before you fly. Thawing out the beverage might take a while, but at least you’ll come away having defied one of the most dreadful pastimes of traveling -- getting shot down by the TSA.